Situated at the southern end of Lake Nasser’s wide expanse of calm, green-blue waters, Abu Simbel is one of the most remarkable temple sites in Egypt. Originally carved out of a mountain on the west bank of the Nile in the 13th Century BC, the temples with its four colossal statues of Ramses II were designed as an awesome sentinel watching over any boats sailing into the pharaoh’s lands from the south. 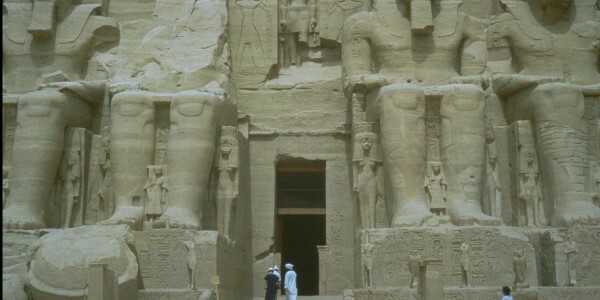 Why visit Abu Simbel ? With the construction of the Aswan High Dam and the consequent creation of Lake Nasser, the temples would have been lost were it not for the UNESCO project to resurrect them above the new high water level. 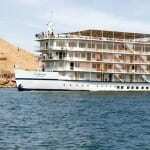 Day excursions to Abu Simbel by road or air are possible from Cairo, Luxor or Aswan, or else you can visit the monuments as part of a Lake Nasser cruise.